"For instance, in one study, TRT doses were much higher than what would usually be prescribed, and the subjects tended to be more frail, with other health problems," she says. "Other studies showed no evidence of increased risk." Furthermore, a study in the August 2015 Mayo Clinic Proceedings showed no link between TRT and blood clots in veins among 30,000 men. "Right now, the jury is still out about TRT's influence on cardiovascular disease," says Dr. Hayes. TRT's relationship with other health issues is also mixed. For instance, TRT has previously been tied to a higher incidence of prostate cancer, but a study published in the December 2015 Journal of Urology found that exposure to TRT over a five-year period was not linked to a greater risk of aggressive prostate cancer. You need to have both low levels of testosterone—less than 300 nanograms per deciliter (ng/dL)—and several symptoms (see page 7) to get a prescription for TRT. "It is possible to have low levels and not experience symptoms," says Dr. Hayes. "But if you do not have any of the key symptoms, especially fatigue and sexual dysfunction, which are the most common, it is not recommended you go on TRT given the current uncertainty with regard to long-term safety." A simple blood test measures testosterone levels. Several tests are required, as levels can fluctuate daily and be influenced by medication and diet. 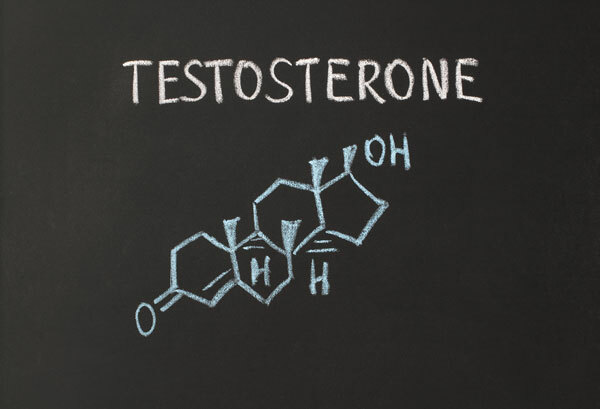 "In 30% of cases where the first testosterone test is low, levels are normal when the test is repeated," says Dr. Hayes. Even if your levels are low and you have several symptoms, TRT is not always the first course of action. "If you can identify the source for declining levels, often you can address that problem and increase low levels naturally," says Dr. Hayes. For instance, the No. 1 contributor to falling levels is weight gain. "Weight has a bigger impact on testosterone levels than aging. As weight goes up, testosterone levels go down," she says. A five-point increase on the body mass index scale—for instance, going from 30 to 35—is equivalent to adding 10 years to your age in terms of testosterone levels. "Your doctor should also review any other factors that might influence levels, like medication or medical conditions," says Dr. Hayes. In these instances, your doctor may treat the underlying condition or change your medication or dosage to one that would not affect testosterone levels. Men also need to understand the limits of TRT, as many envision it as a type of fountain of youth. "Its impact is less than what many men would expect," says Dr. Hayes. For example, two often-touted benefits of TRT are sexual health and vitality. A double-blind study in the Feb. 18, 2016 issue of The New England Journal of Medicine reviewed the effects of TRT on 790 men ages 65 and older. Those who received TRT for one year, versus those on placebo, saw improvements in sexual function, including activity, desire, and erectile function. However, the group experienced only a slight improvement in mood and saw no changes in walking speed, which was used to measure TRT's effect on vitality. TRT is often given by either gel application or injection. With a gel, you spread the daily dose—often the size of a ketchup package—over both upper arms, shoulders, or thighs. Injections are typically given into the buttocks once every two weeks. Each method has its advantages. With gels, there is less variability in levels of testosterone. "However, you have to be careful to avoid close skin contact for a few hours, especially with women, as the testosterone could cause acne or hair growth," says Dr. Hayes. With injections, testosterone levels can rise to high levels for a few days after the injection and then slowly come down. This can cause a roller-coaster effect, where mood and energy levels spike before trailing off. Most men feel improvement in symptoms within four to six weeks, although changes like increases in muscle mass may take from three to six months.